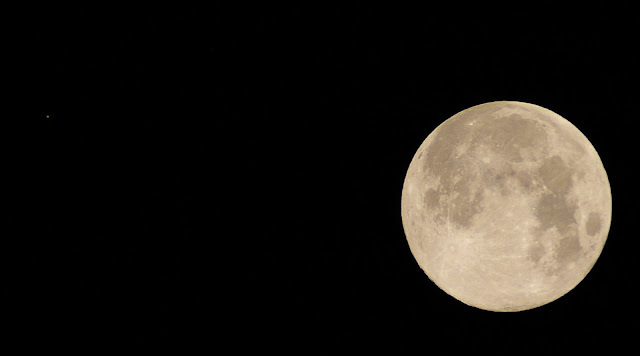 full Moon for the first time in 38 years – and in an odd cosmic luck, the last time we had one on Christmas was the year Star Wars: A New Hope was released in cinemas (1977). This year, obviously, sees the return of the star wars franchise with The Force Awakens. The Moon will be completely lit up by the Sun at 6:11 a.m. EST (11:11 a.m. GMT) on Friday December 25, so you’ll see the brightest Moon at night both side of that time. This comes three days after the shortest day of the year in the Northern Hemisphere, the winter solstice, on Tuesday December 22. Wait, there is more, Christmas Eve will also see the ISS travel over the sky for sky watchers in the U.K., with it moving from west to southeast from 5:19 to 5:26 p.m. GMT – even though we all know, actually, its Santa’s sleigh creating its way around the world(pun intended). We will get to see another full Moon on Christmas in 2034, so you can perhaps hope for Star Wars: Episode 10 around then.